Brett is a lifelong game fisherman. He caught his first billfish in 1984 at the age of 12 and as an angler has helped numerous national records in Papua New Guinea and Australia. At the age of 15 he became the first angler in Australia to tag five Blue Marlin in one day. He later beat this feat with six in the day which was Australia’s best one day angler/boat Record until you broken skippering ‘Mistress’ to tag 11 blues for the day in 2002. In 1980 Brett commences professional fishing on the Gold Coast working with well-known skippers such as Phil Roebuck, Ray Johnston and Peter Radtke. It is first Cairns season as deckhand in 1992 under the renowned captain Peter Kirkby and later did seasons on deck for Capt Geoff Ferguson and Alan (Tiger) Geale. In 1993 Brett became a qualified Captain and Marine Engineer and he holds a Masters Class 5 (Fishing and Trading) and Marine Engine Driver Grade 2 qualifications. He’s qualified to drive a commercial vessel up to 200 tons up to 200 miles offshore. Brett drove the custom charter vessel “Gold Strike” from the launch in 1989 till 2000. In 2000 Brett oversaw the construction of ‘Mistress’ before taking her on sea trials in New Zealand and sailing her across the Tasman Sea to Australia. Brett has driven game boats in Papua New Guinea, Perth, Cairns, Fraser Island me and the Gold Coast Australia and overseas in the Maldives, Cabo San Lucas, California and the Bahamas (Bahamas Billfish Championship Series). During the off seasons, Brett has expanded his experience and knowledge of fish by commercially fishing for mackeral and snapper from Canarvon in Western Australia. 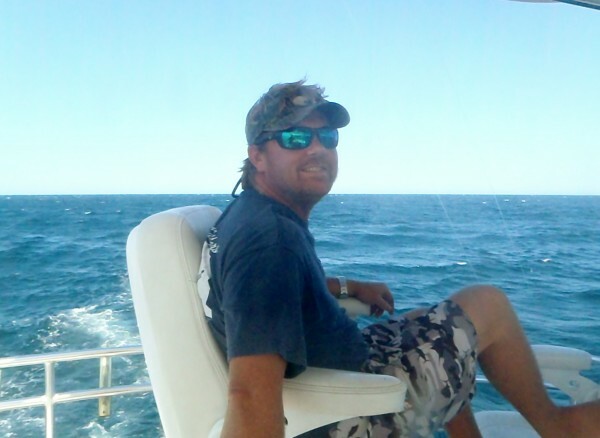 Brett is experienced in all aspects of game fishing for blue marlin, black marlin, striped marlin, sailfish, yellowfin tuna and various lesser species. He is expert at fishing live baits, dead baits and lures. He has captained ‘Mistress’ to numerous tournament wins, his anglers to records and international awards, and has several international award awards himself such as Billfish Foundation captain releasing the most blue marlin in the Pacific Ocean twice!! There is little doubt that Capt Brett’s record makes you the most successful blue Marlin captain on Australia’s east coast. A claimed that is widely acknowledged.